George Albert "Georgie" Jessel (April 3, 1898 – May 23, 1981) was an American illustrated song "model," actor, singer, songwriter, and film producer. He was famous in his lifetime as a multitalented comedic entertainer, achieving a level of recognition that transcended his limited roles in movies. He was widely known by his nickname, the "Toastmaster General of the United States," for his frequent role as the master of ceremonies at political and entertainment gatherings. Jessel originated the title role in the stage production of The Jazz Singer. Jessel was born on 118th Street in Harlem. By age 10, he was appearing in vaudeville and on Broadway to support his family after his father's death. His mother, who worked as a ticket seller at the Imperial Theater, helped him form The Imperial Trio, a harmony group of ushers to entertain patrons of the theater, with Walter Winchell and Jack Wiener, using the stage names Leonard, Lawrence and McKinley, in their early teens (such usher-singer groups were common). At age 11, he was a partner of Eddie Cantor in a kid sketch and performed with him on stage until he outgrew the role at age 16. He later partnered with Lou Edwards and then became a solo performer. His most famous comedy skit was called "Hello Mama" or "Phone Call from Mama," which portrayed a one-sided telephone conversation. In 1919 he produced his own solo show, "George Jessel's Troubles" and appeared in his first motion picture, the silent movie The Other Man's Wife. He co-wrote the lyrics for a hit tune, "Oh How I Laugh When I Think How I Cried About You," and performed in several successful comedy stage shows in the early 1920s. In 1921 he recorded a hit single, "The Toastmaster." He sometimes appeared in blackface in his vaudeville shows. 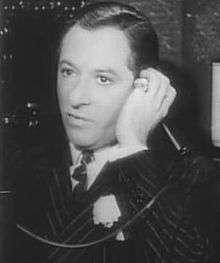 In 1924, he appeared in a brief comedy sketch, possibly the telephone sketch described above, in a short film made in the DeForest Phonofilm sound-on-film process. In 1925, he emerged as one of the most popular leading men on Broadway with the starring role in the stage production of The Jazz Singer. The success of the show prompted Warner Bros.—after their success with Don Juan (1926) with music and sound effects only—to adapt the The Jazz Singer as the first "talkie" with dialogue and to cast Jessel in the lead role. However, when the studio refused his salary demands, Jessel turned down the movie role, which was eventually played by Al Jolson. According to Jessel during an interview around 1980, Warner Brothers still owed Jessel money for earlier roles and lacked enough funds to produce this movie with a leading star. Jolson, the biographical inspiration for the movie, became the movie's main financial backer. His next movie role was in 1926 in Private Izzy Murphy. 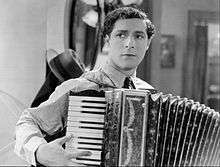 Whereas Jolson's film career skyrocketed after the 1927 release of The Jazz Singer, Jessel remained in smaller movie roles, often intended for audiences fond of Jewish and other "ethnic" humor. In the middle 1940s, he began producing musicals for 20th Century Fox, producing 24 films in all in a career that lasted through the 1950s and 1960s. At the same time he became known as a host on the banquet circuit, famous for his good-natured wit aimed at his fellow celebrities. In 1946, he was one of the founding members of the California branch of the Friars Club. (A recording exists of an example of his "blue" work in front of a stag audience, although it was actually recorded at a roast hosted by the Friars' rival, the Masquers Club.) He also traveled widely overseas with the USO entertaining troops. As he grew older, he wrote eulogies for many of his contemporaries in Hollywood. He wrote three volumes of memoirs, So Help Me (1943), This Way, Miss (1955) and The World I Lived In (1975). In the early 1950s, he performed on the radio in The George Jessel Show, which became a television series of the same name from 1953 to 1954. Thereafter, Jessel guest starred on NBC's The Jimmy Durante Show. In 1968, he starred in Here Come the Stars, a syndicated variety show. However, his attempt to extend his career was undermined by a perception that his style of comedy was outdated, as well as by his outspoken support of the American entry into the Vietnam War and of conservative political causes. He often crossed the era's stereotypical political lines with his support for the Civil Rights movement and criticism of racism and anti-Semitism.His outspokenness regarding his political opinions that sometimes caused a scandal.In 1971, while being interviewed by Edwin Newman on The Today Show on NBC, he repeatedly referred to The New York Times as Pravda, the house organ of the Communist Party in the Soviet Union, and was ejected from the show. His later film roles included a cameo as himself in Valley of the Dolls (1967), The Busy Body (1967) opposite Sid Caesar, and the controversial musical Can Heironymus Merkin Ever Forget Mercy Humppe and Find True Happiness? (1969) directed by and starring Anthony Newley. He also played cameos in other all-star films such as The Phynx (1970) and Won Ton Ton, the Dog Who Saved Hollywood (1976). Jessel was included as one of the "witnesses" interviewed in the 1981 film Reds by Warren Beatty. To gain perspective on the lives of Jack Reed and Louise Bryant, the two protagonists of the movie, Beatty began filming the "witnesses" as early as 1971. Jessel famously confused the name of Emma Goldman, referring to her first as "Emma Goldberg" and then "Emma Goldfarb" before correcting himself. In the 1930s, his personal life kept him in the public eye as much as his movies. On May 2, 1930, Jessel married Florence Courtney in Chicago. She divorced him on October 24, 1932, on the grounds of cruelty. On April 23, 1934, Jessel married silent movie star Norma Talmadge, causing a scandal because Talmadge was married at the time that they started their affair, and she obtained a Mexican divorce only ten days earlier. After their divorce on August 11, 1939, he caused another scandal by breaking into her house with a pistol and firing shots at her current lover. In 1940, he married a 16-year old showgirl, Lois Andrews, when he was 42. They had a daughter, Jerrilyn, before divorcing in 1942. In his 1975 autobiography, The World I Lived In, Jessel claimed he had affairs with actresses Pola Negri, Helen Morgan and Lupe Vélez. In 1961, actress Joan Tyler brought about a paternity suit against Jessel claiming he was the father of her daughter Christine. Jessel later admitted he was Christie father and settled the suit out of court. As part of the terms of the settlement, Jessel agreed to pay Tyler $500 a month in child support. On May 23, 1981, Jessel died of a heart attack at the University of California at Los Angeles Medical Center at the age of 83. He was interred in the Hillside Memorial Park Cemetery in Culver City, California. In 1969 the Academy of Motion Picture Arts and Sciences honored him for his charity work by awarding him the Jean Hersholt Humanitarian Award, a Special Academy Award. For his contribution to the motion picture industry, George Jessel has a star on the Hollywood Walk of Fame at 1777 Vine Street, Los Angeles, California. 1 2 3 4 5 "George Jessel, Comedian And Toastmaster, Dies At 83". New York Times. May 25, 1981. Retrieved 2015-01-01. George Jessel, the vaudeville comedian and actor who became known as the toastmaster general of the United States, died of a heart attack last night while at the University of California at Los Angeles Medical Center for tests. He was 83 years old. 1 2 Anthony Slide (2012). The Encyclopedia of Vaudeville. University Press of Mississippi. pp. 269–272. 1 2 Cullen, Frank and Hackman, Florence (2006). Vaudeville, Old and New: An Encyclopedia of Variety Performers in America, pp. 566–68. Routledge. ISBN 0-415-93853-8. ↑ The 1915 New York State Census shows that he was living at 1072 Simpson St. in the Bronx, and his occupation is listed as "performer". In that census, he is listed as living with his grandparents, Simon and Caroline Schwarz, his aunt Mary Schwarz, and his mother Lottie Jessel. 1 2 3 4 Smith, J. Y. (May 26, 1981). "George Jessel, Comedian and 'Toastmaster General,' Is Dead at 83". Washington Post. washingtonpost.com. Retrieved November 28, 2016.